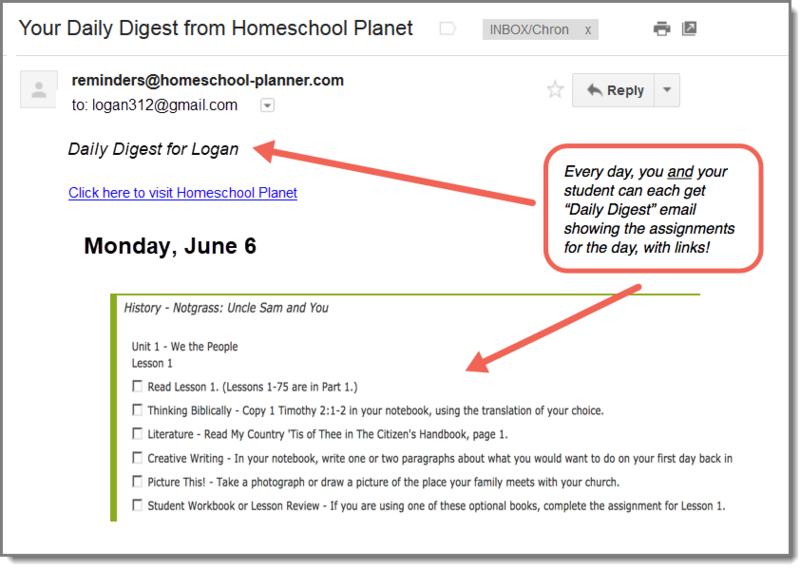 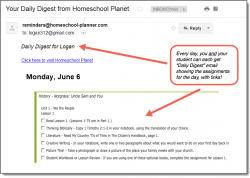 Take full advantage of your Notgrass History curriculum with the official, publisher-created lesson plans for use with Homeschool Planet. 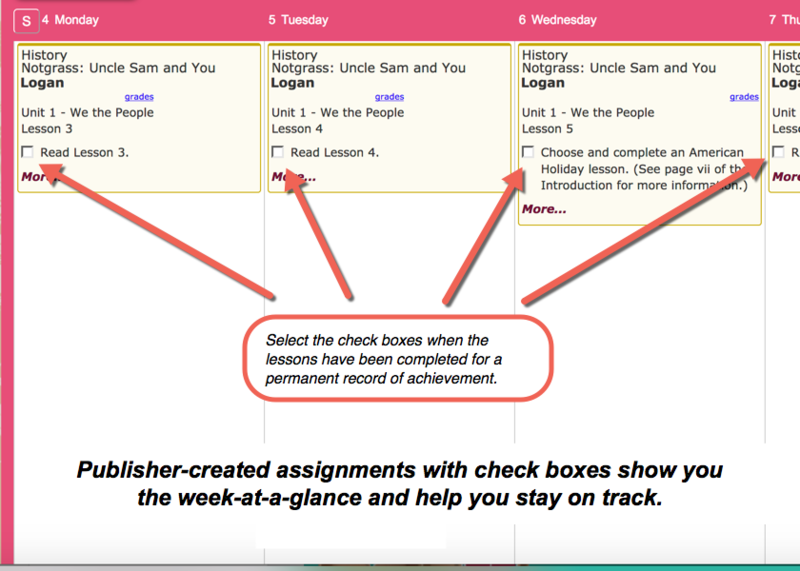 Daily assignments help ensure your student keeps with the recommended course of study, while giving you a convenient way to track progress, record grades, and more. 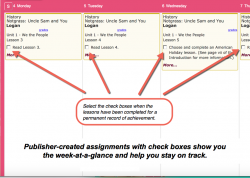 150 days of publisher created lesson plans, covering Bible memorization, reading, vocabulary, timeline placement, creative writing, and workbook and review lessons along with weekly family activities. 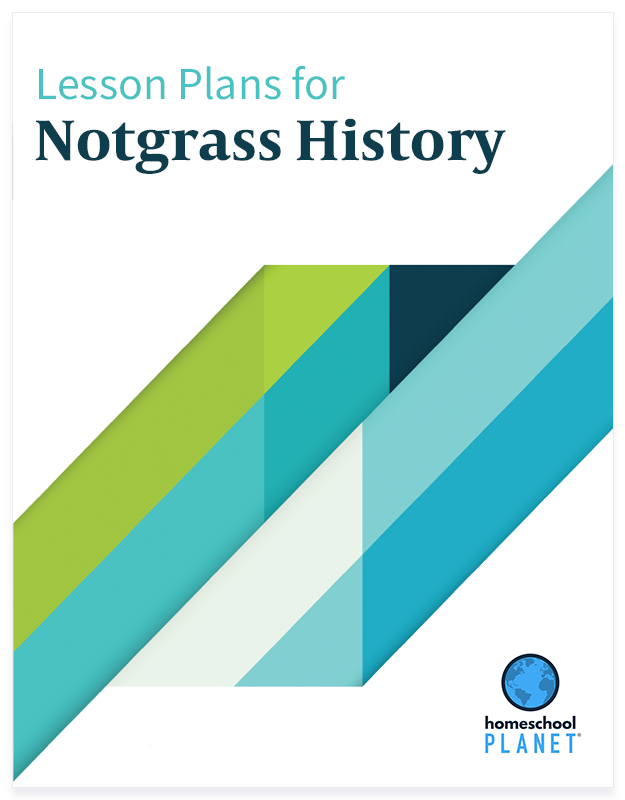 Lesson plan bundle includes ALL 7 Notgrass lesson plans.